Ghanaian highlife maestro, Kojo Antwi, has waded into the ongoing debate over the determinant factors of the trend of music in Ghana and what musicians consider before coming out with songs. According to Kojo, TV and radio stations, and sound engineers, have in recent times become agents responsible for determining the direction Ghanaian music should go. “I think that in recent times, if you watch critically, TV, radio and then sound engineers determine the direction of our music. Right now, if you produce the song and you do not shoot a video to go with it, it becomes difficult to sell it,” Kojo Antwi stated on Peace FM’s Entertainment Review. He explained that in their era, musicians told sound engineers what instrument(s) to play during the production, noting that but now young musicians walk into the studios and sing or rap to an already cooked up beat. “These days the young artistes only think about dance music and nothing else. Our generation was different. We used to go into the studio and tell the producers that for this particular song we want piano or organ. But what we see now is that before these young ones go into the studio, the beats would have been cooked up already. They only have to go there and rap or sing or something,” he said. He disclosed that even though he is sometimes influenced by the imaginary trend, he always has a game plan anytime he walks into the studio to record a song. “But for someone like me, when I go into the studio I know I have maybe 12 different songs I can do on an album. I will look at different things, like the trend, before I will look at what people want to hear from my songs. Then I will do some to take my fans on an adventure. I study to find out which songs will bring my fans closer to me and which ones will take them on a journey,” he said. 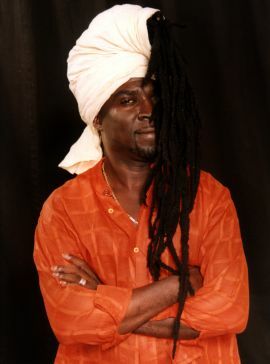 Kojo Antwi admitted there are times when musicians are influenced by some trending beats and styles. But he was quick to add that having an identity as a musician is the best way to stay unique. “Definitely you will be influenced with some sounds and others but when you have an identity as a musician, then you have an advantage over the new artistes,” he noted.